Project Description: three storey new build home with part basement retaining wall. 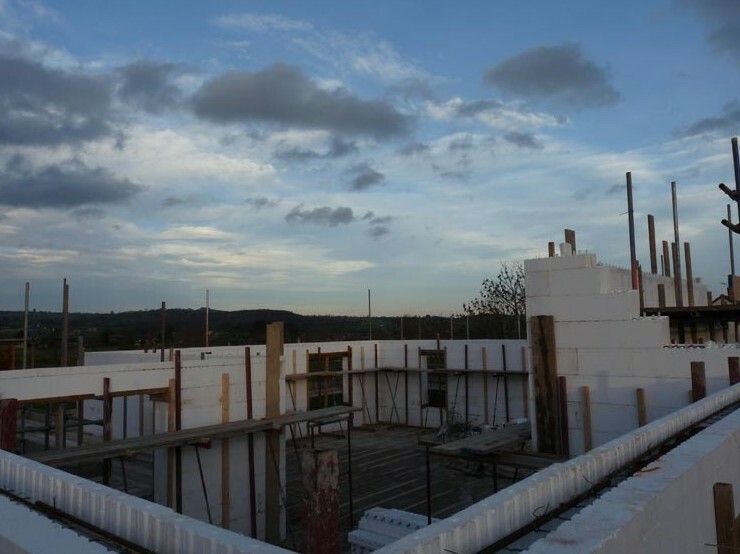 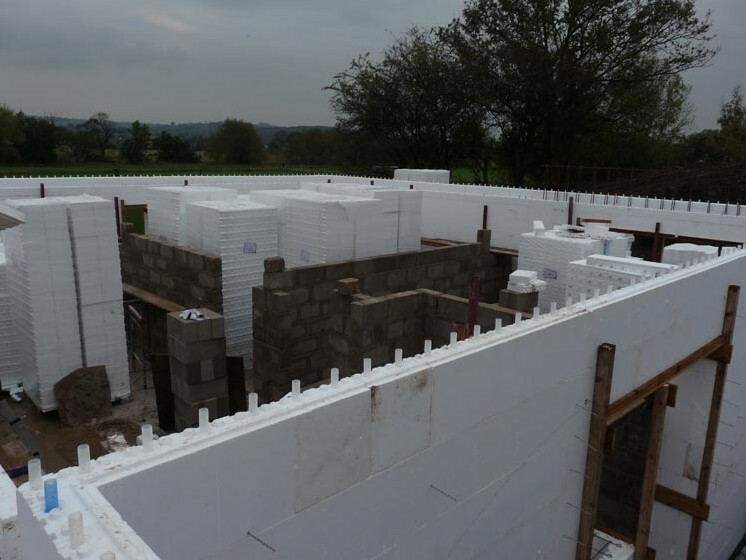 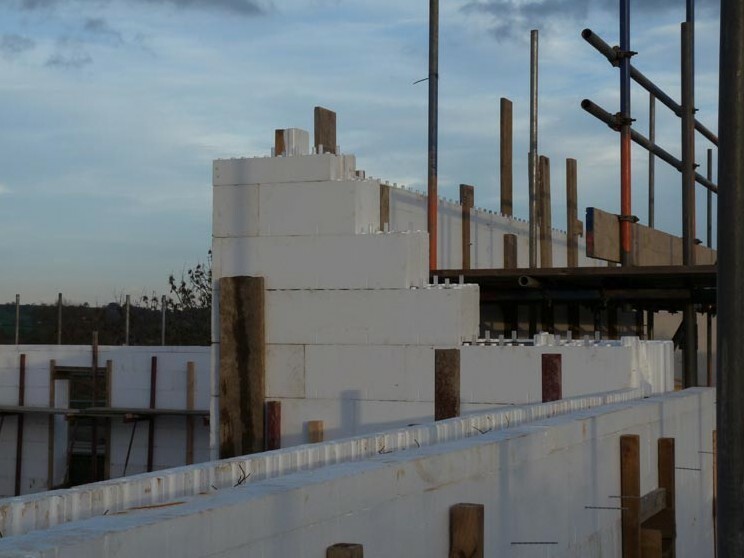 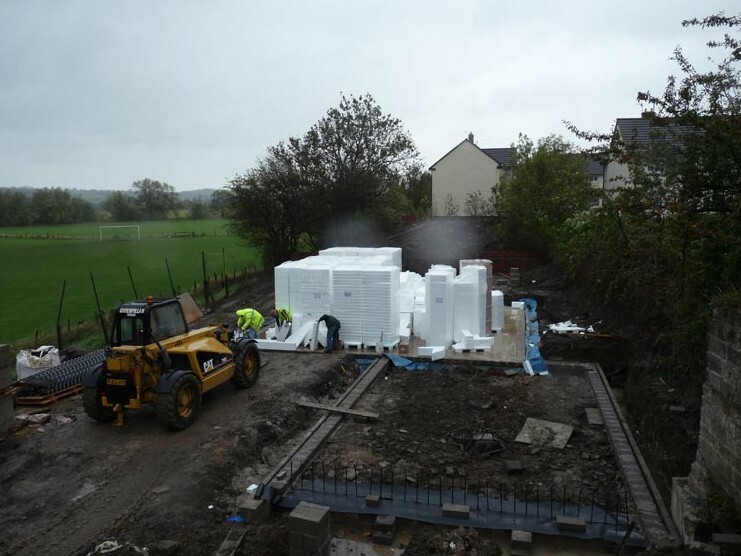 ICF delivery route: shell only, with the client managing all other areas of the build. 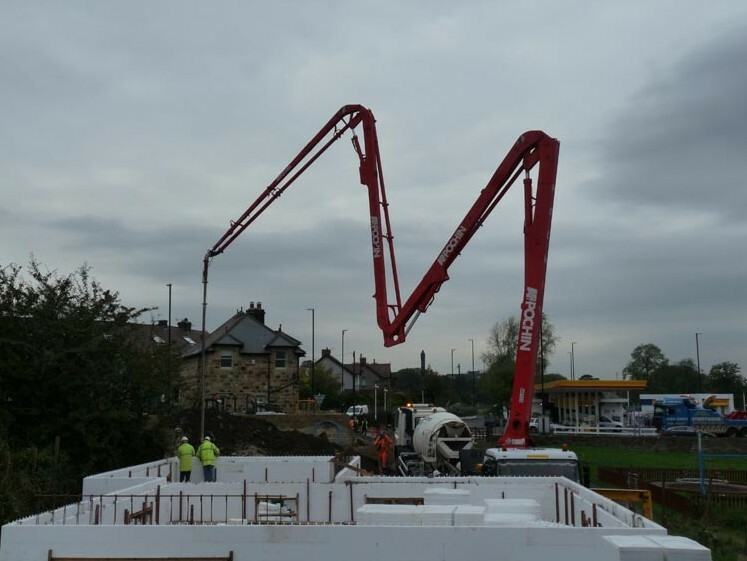 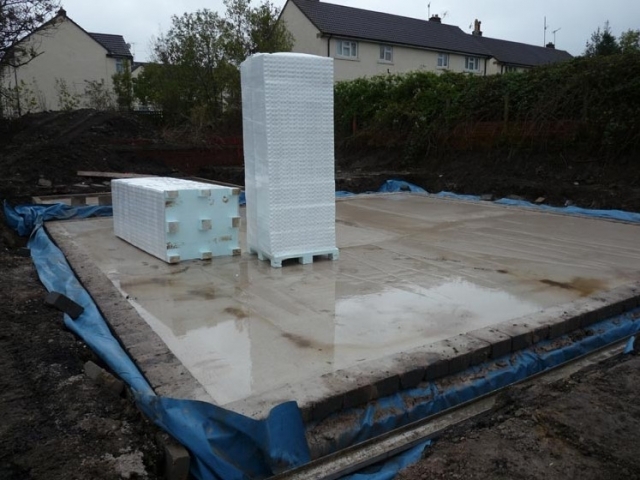 Floors: solid concrete ground floor, beam and block to all others. 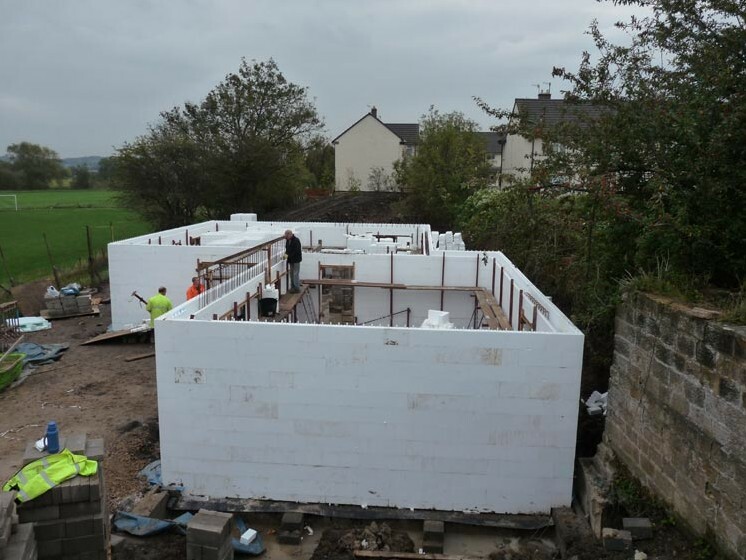 Walls: Rhodipor Ecobuild 3 with 50mm cavity and stone outer skin. 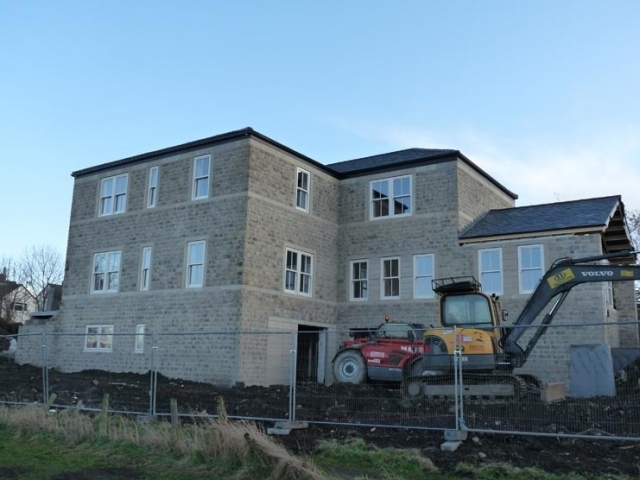 Finish: split face stone, with cut stone banding, heads and cills and infill panels. 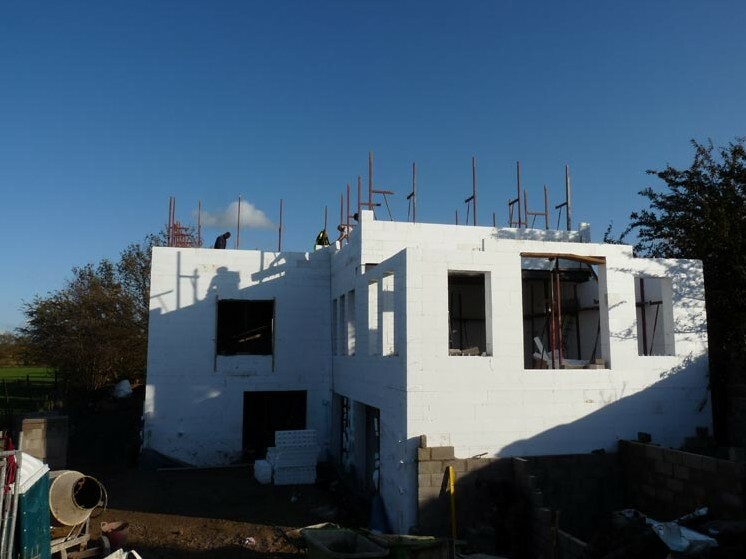 Roof: structural steel frame, with traditional cut rafters and purlins to form the vaulted ceiling. Heating: under floor heating to all floors with mechanical heat recovery ventilation throughout.